CHRIS MORELLI/THE EXPRESS The Centre County Commissioners discussed a contract renewal between the county’s sheriff’s office and the Snow Shoe Rails to Trails this week. 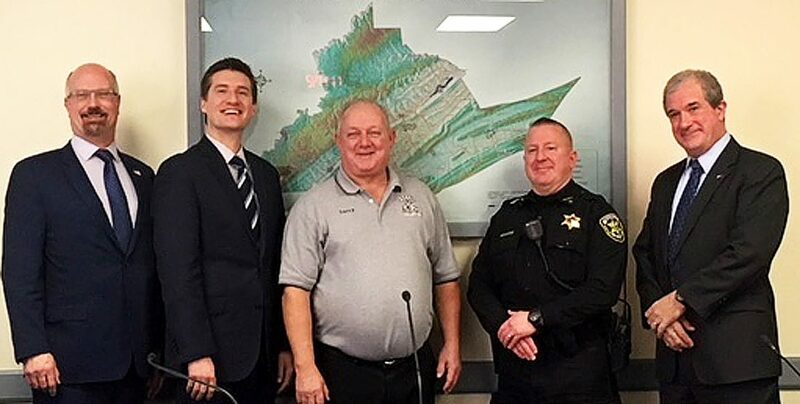 From left, Centre County Commissioners Mark Higgins and Michael Pipe, SSRTA secretary Larry Mayes, Centre County Sheriff Bryan Sampsel and Centre County Commissioner Steve Dershem. SNOW SHOE — Snow Shoe’s Rails to Trails Association continues to grow. At this week’s Centre County Commissioners meeting, there was a discussion about contract renewal between the Centre County Sheriff’s office and the SSRTA. The contract renewal means the sheriff’s office will enforce motor vehicle laws, promote safety and trail regulations. Under the agreement, ATVs and motorcycles must have a valid license plate, liability insurance, helmets and a valid SSRTA registration sticker. The SSRTA agreed to pay the county based on the hourly rate, including salary and all benefits, of the sheriff’s deputies and mileage. The contract, which will run from April 1, 2019 through Dec. 31, 2019, was pushed to next week’s consent agenda. The Snow Shoe Rails to Trails was formed in 1999. It is maintained by volunteers and those using it pay membership dues. According to its website, the trail is for walkers, bikes, equestrians, ATVs and snowmobiles. Dirt bikes, however, are not permitted because they are not registered with Pennsylvania or DCNR. Since they cannot carry insurance, they are not allowed on the trail. The SSRTA has 19 miles of abandon railroad bed along with 20 miles of legalized Snow Shoe Township Roads. In August of 2011, DCNR connected us to the Bloody Skillet Trail near Orviston. There is now an 80-mile trail system and the trail system is open throughout the year. The trail continues to grow by leaps and bounds, according to Mayes. Clinton County, Mayes said, will play a vital role as the trail expands. 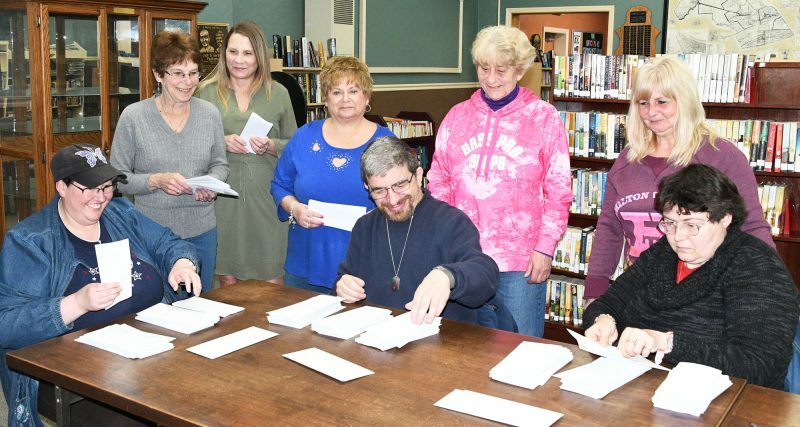 “Rails to Trails is part of the North Central Initiative, which is operated out of Clinton County, with the Clinton County commissioners and the Clinton County Economic Development Association,” Mayes said. He said the SSRTA is hoping to have those connections done by spring of 2020. According to Mayes, it’s imperative to connect towns to make the Snow Shoe Rails to Trails viable. 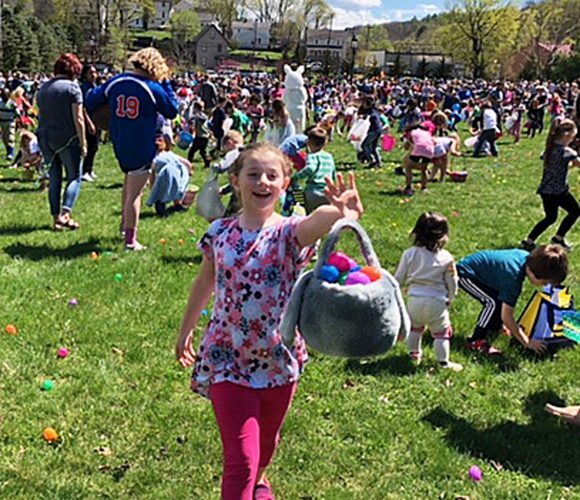 “We’ve been telling the DCNR since 1999 that you need to connect town to town. That is so important that you get the people coming to use the hotels, the motels, the restaurants, that type of thing. Finally, they listened,” Mayes said. There are approximately 3,000 individuals and 80 businesses who support SSRTA, Mayes said. Mayes believes that the SSRTA can spur economic growth in both Centre and Clinton Counties. “It’s going to bring a lot of people into our area. It’s going to bring money in. We have people asking all the time, ‘where can we stay?’ We’re hoping this will bring some new businesses to the area, maybe some new ATV shops. We don’t have places to stay in Snow Shoe. We have people staying at the Days Inn down in Milesburg. A lot of them stay in that area,” Mayes said. Centre County Sheriff Bryan Sampsel said that his office is pleased with the partnership between the SSRTA and the sheriff’s office. Mayes said that the relationship between SSRTA and the Centre County’s Sheriff’s Office is critical to its success. For more information about the SSRTA, visit its website at www.ssrt.org.